We take economic decisions every day of our lives, and in turn are affected by the decisions of other people and institutions. Economics is the study of these decisions and actions. Studying the way economic processes work helps us to understand the society in which we live. The BSc Economics and Finance (L1NH) combines modules in economics with the analysis of financial markets and institutions. Are you interested in a career in finance? 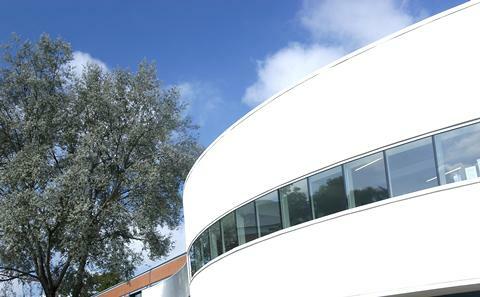 Then the BSc Economics and Finance degree at the University of Southampton is ideal for you. The programme combines a firm grounding in economics and econometrics, with the theoretical and empirical analysis of financial markets and institutions. Some of the Finance modules include training and access to our Bloomberg Terminals, the standard financial trading platform in the City. You can also gain an understanding of how people make financial decisions in our behavioural economics laboratory. This programme combines modules in economics with the analysis of financial markets and institutions. It is particularly appropriate for anyone looking for a rigorous understanding of the world of finance either with a view to employment in financial institutions or simply wanting to understand more about the world in which we live. The programme is studied over three years full-time. Study is undertaken at three levels, each corresponding to one year of full-time study. There is a large choice of optional modules and the list below is not exhaustive. For example, interdisciplinary modules allow students to try different methodological approaches outside of their home discipline. For more information visit the Interdisciplinary modules page. Students can also take language modules in a variety of languages. The modules range in level from absolute beginner up to near-native speaker level. For more information visit the Credit-bearing language modules page. There are also non-credit bearing courses for those who simply wish to continue languages as a hobby. Visit the Southampton Language Opportunity page. Students may decide to take a Year in Employment as part of this course. They do not need to indicate this on their UCAS application and can decide in their second year. Further information visit the Year in Employment page. Students can also take placements and internships over the holidays. For more information visit the Excel Southampton Internship Programme page. Students can work during term-time on the IBM Business Innovation Programme, for more information visit the Business Innovation Page. Students take 30 credits of optional modules in Second Year. Most modules in Economic, Social and Political Science are for 15 credits, but there are some modules which are taken across two semesters and are worth 30 credits. Students are to choose either Statistical Theory 2 or Introduction to Econometrics. If students took Statistical Theory 2 in semester one, they must also take Econometrics 2. If students took Introduction to Econometrics in semester one, they must also take Methods of Econometrics. During year three you will study a dissertation, which is a piece of independent research on a topic of your choice spread over both semesters. Students take 30 credits of optional modules in Third Year. The dissertation module, Dissertation, runs over both semesters. Students are to choose either International Banking or Futures and Options.